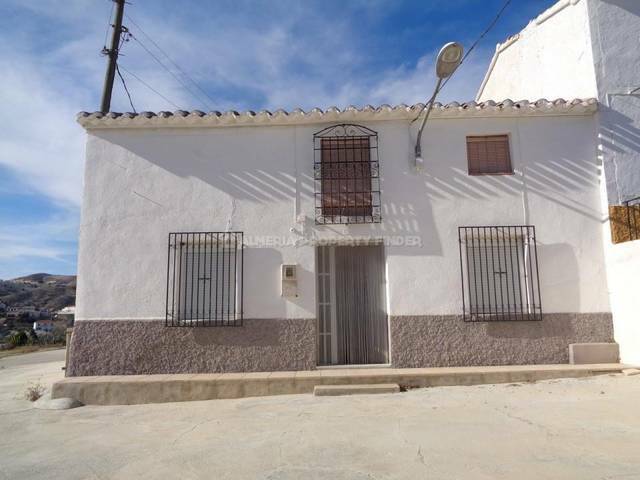 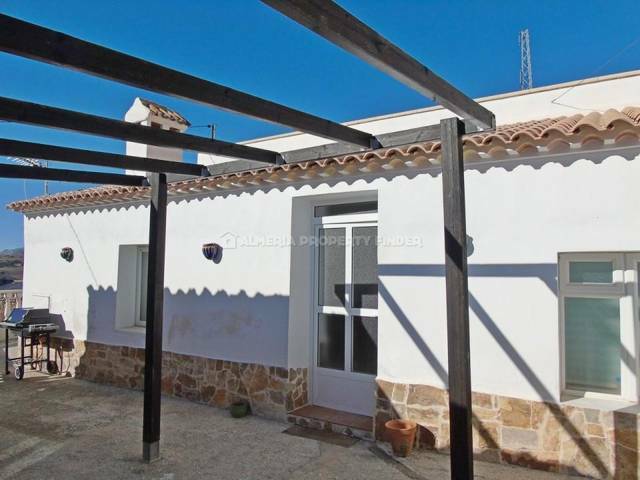 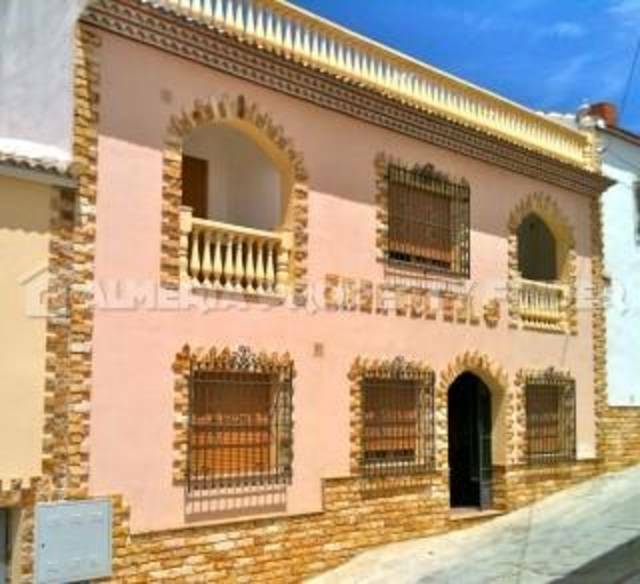 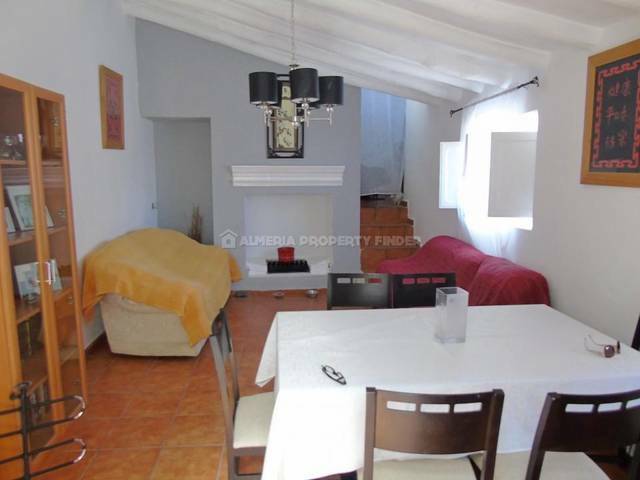 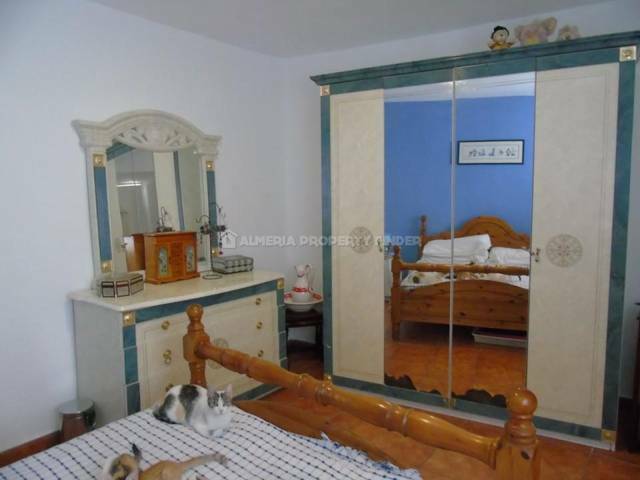 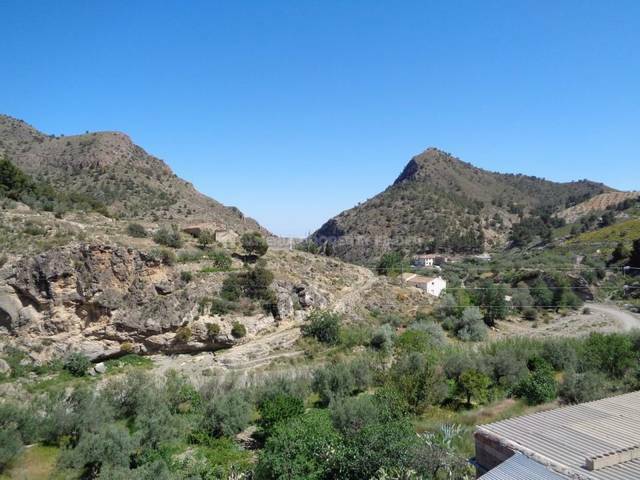 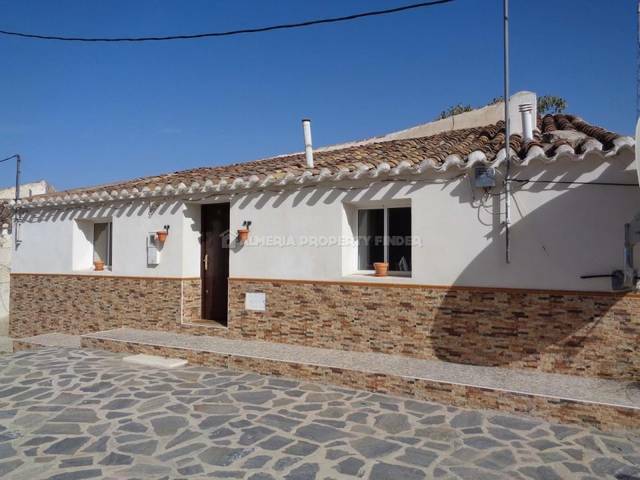 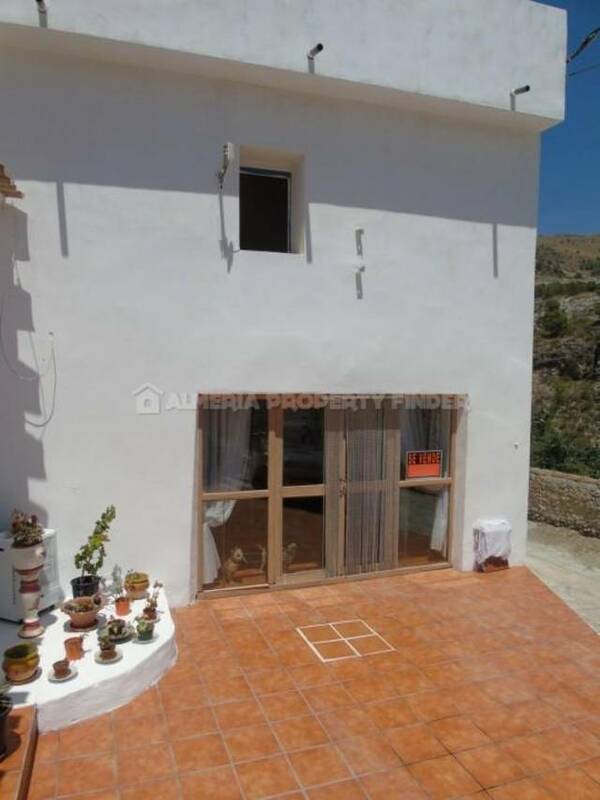 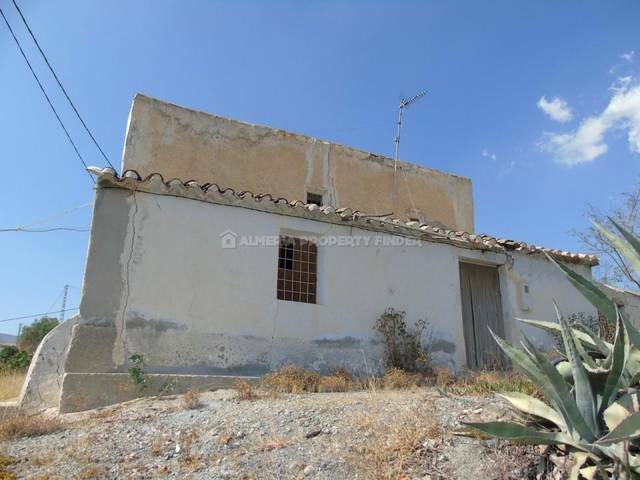 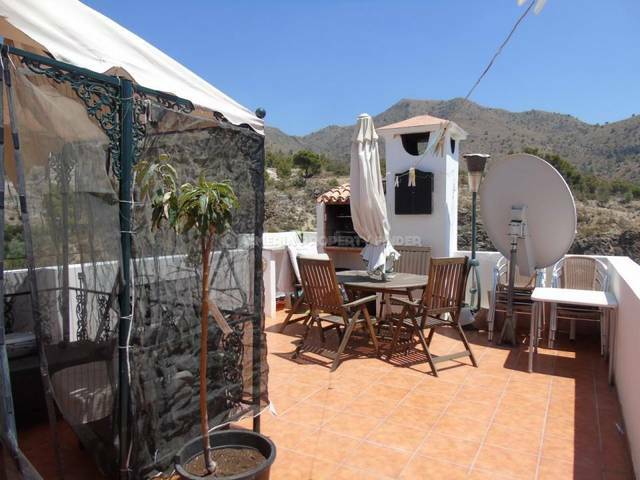 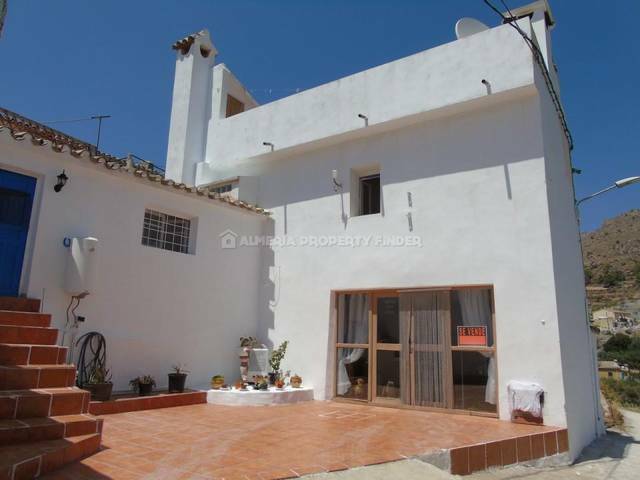 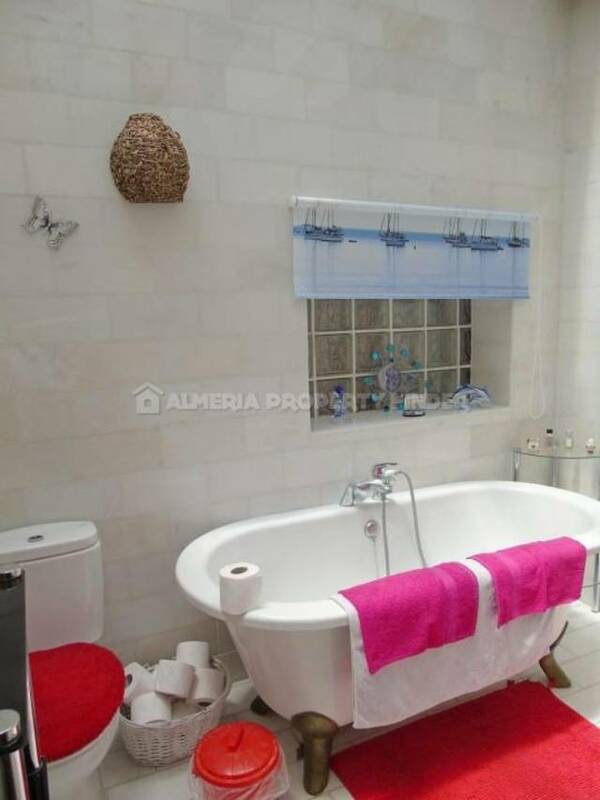 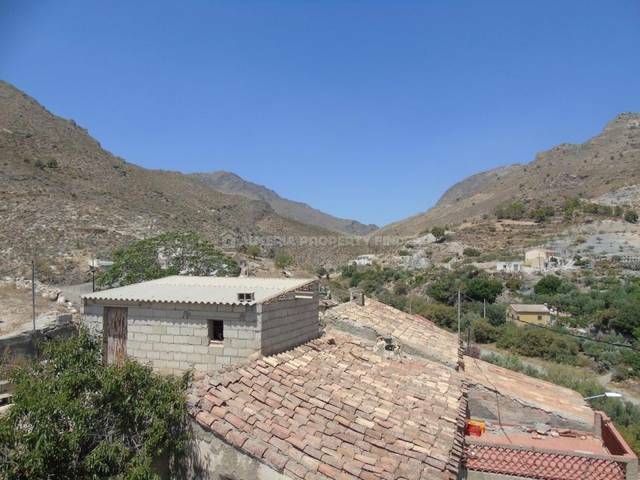 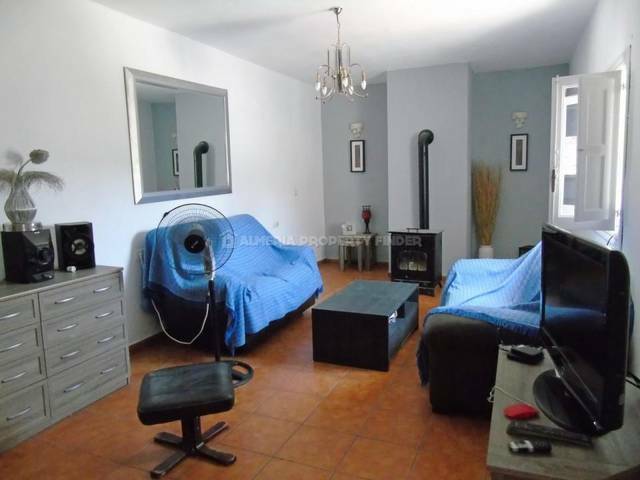 Quirky 2 bedroom village house for sale in Almeria Province, situated in a small hamlet around 10 minutes drive from the traditional town of Oria which offers all amenities including supermarkets, shops, banks, tapas bars, restaurants, 24 hour medical centre, and a weekly market every Sunday morning. 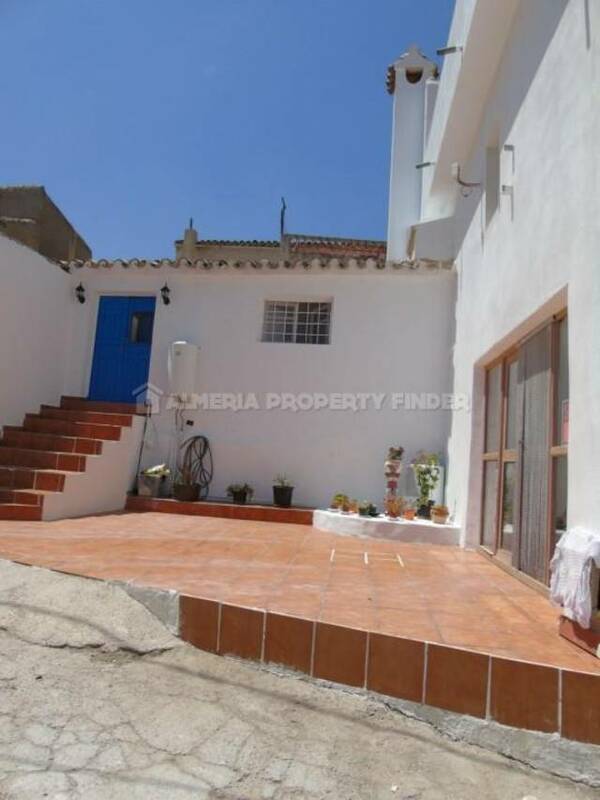 To the front of the property is a tiled patio with space for off-road parking. 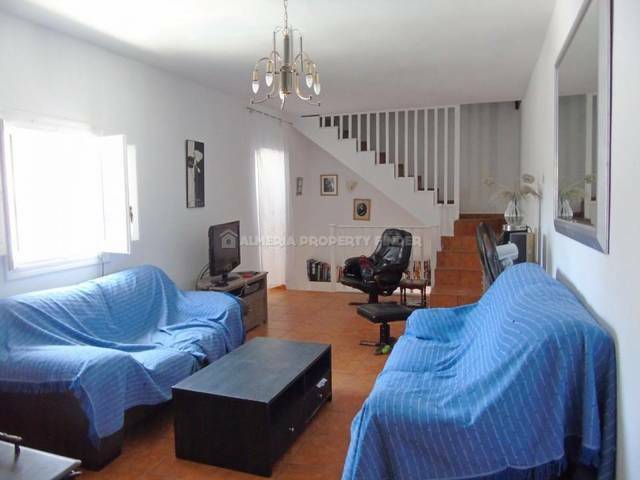 Steps lead up to the front door which opens into a lounge / dining room with open fireplace. 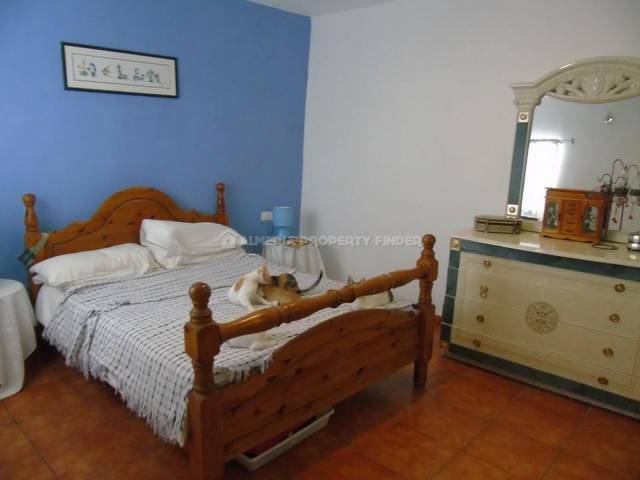 Off the lounge are two large bedrooms and a fabulous bathroom which is flooded with natural light and comprises a free-standing claw foot bath, WC, tiled shower cubicle and basin. 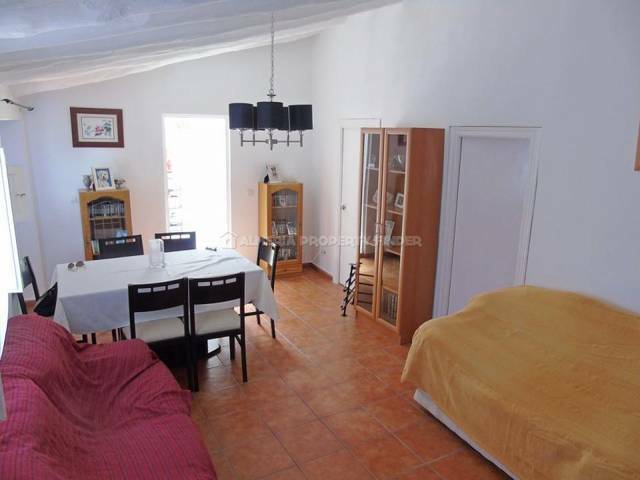 Steps from the lounge lead up to a mid floor second lounge area - a large bright room with a free standing wood burner. 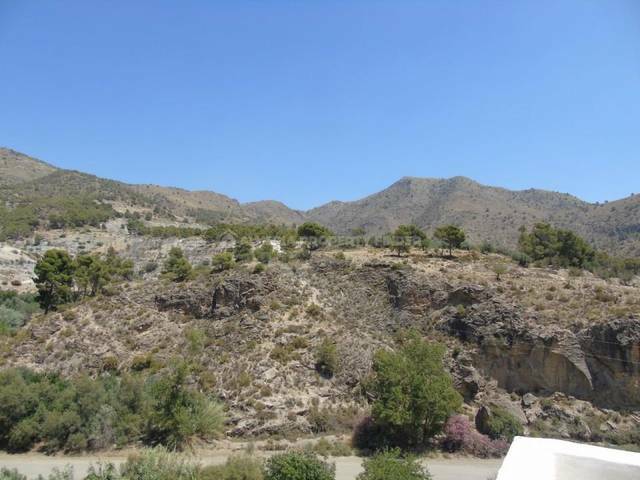 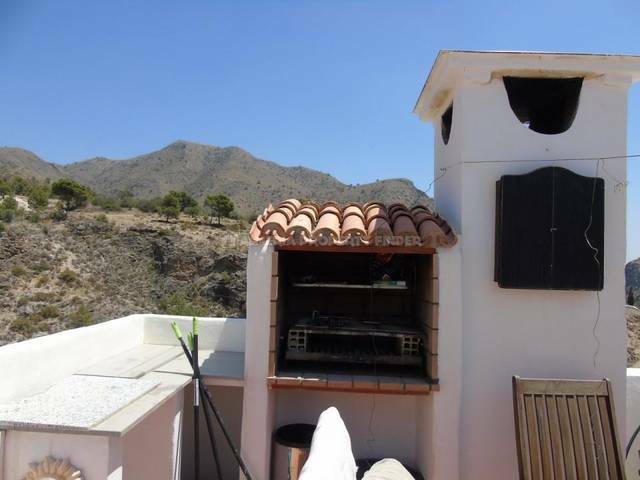 From here, stairs lead up to a tiled roof terrace with fabulous views over the hamlet and to the mountains beyond. 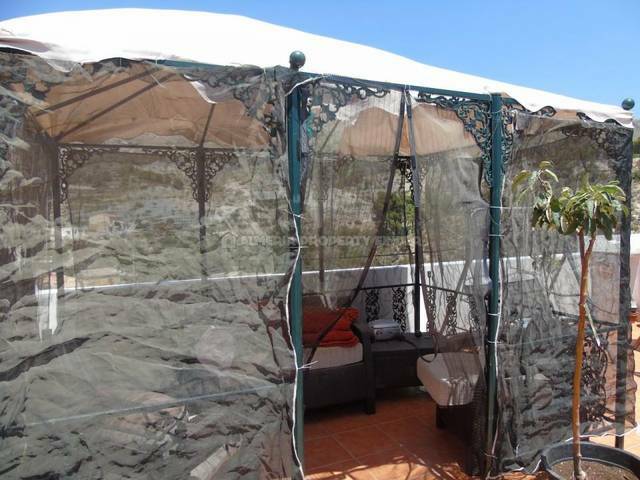 The terrace benefits from an outdoor kitchen / barbecue area and a pergola shaded seating area. 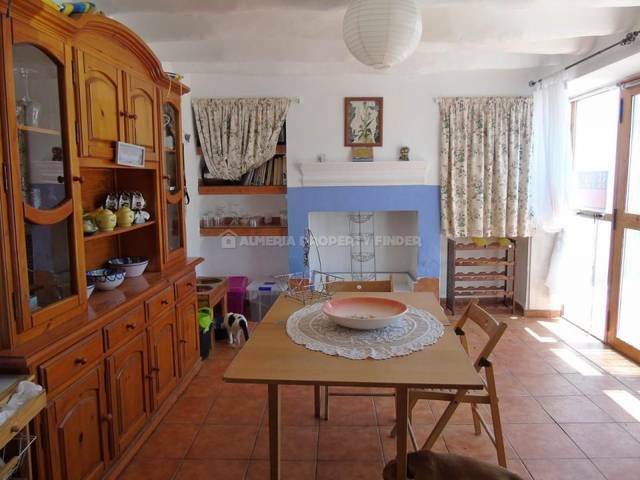 From the second lounge, stairs lead down to a kitchen / dining room with traditional fireplace. 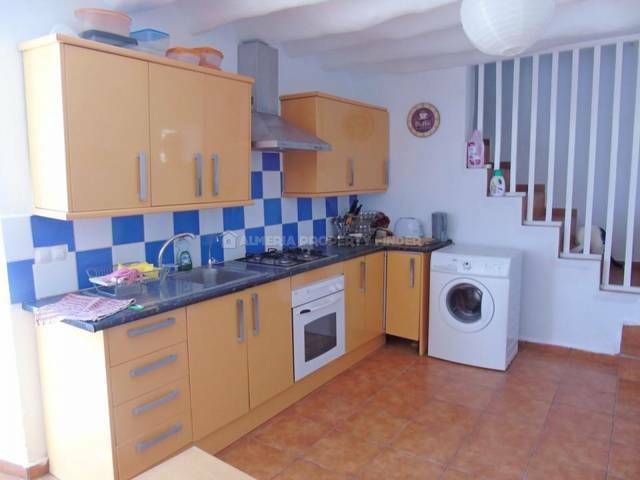 The kitchen is fitted with modern units, a gas hob and electric oven. 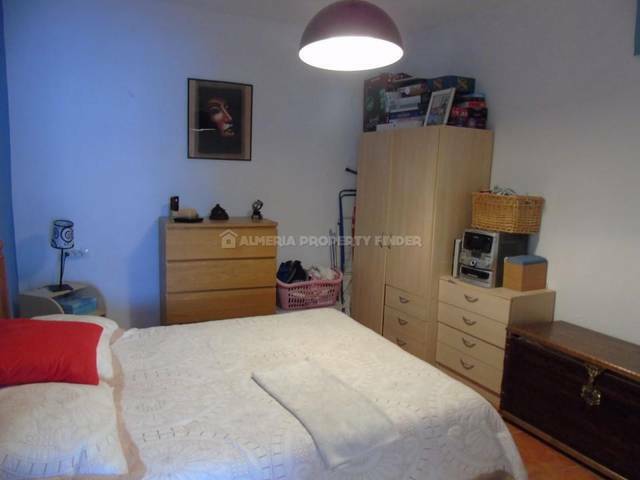 It is a lovely bright room with patio doors leading out to the front patio and parking area. 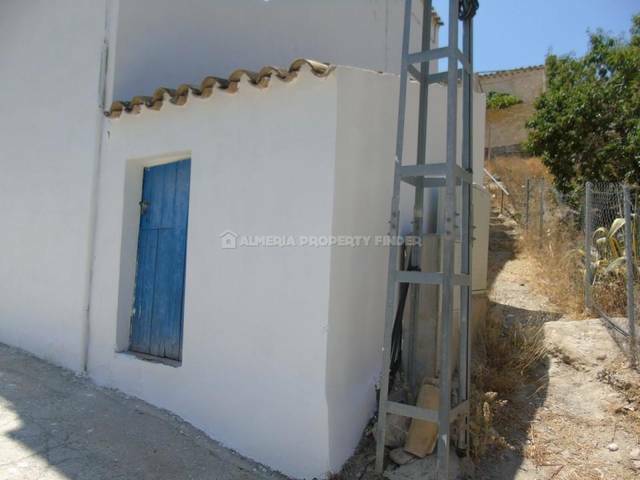 To the side of the house is a storeroom with a traditional bread oven. 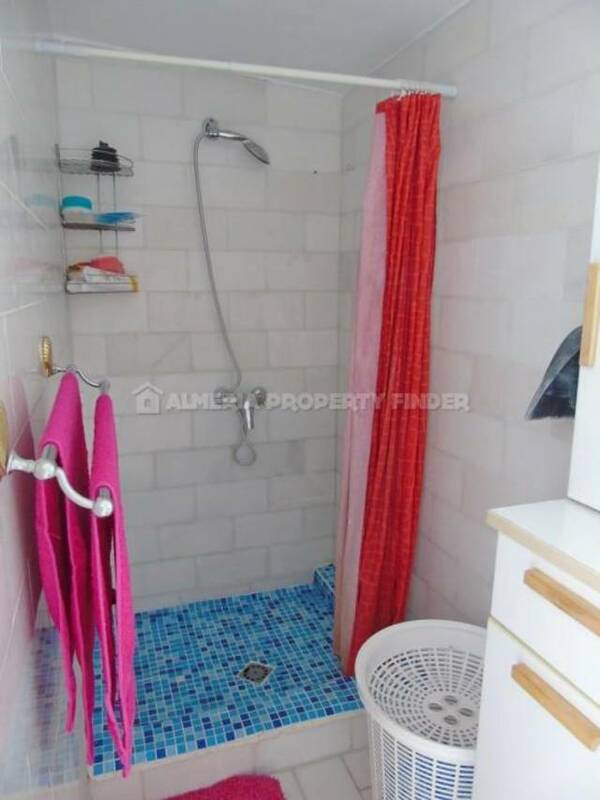 Electricity, water, telephone and internet are connected.